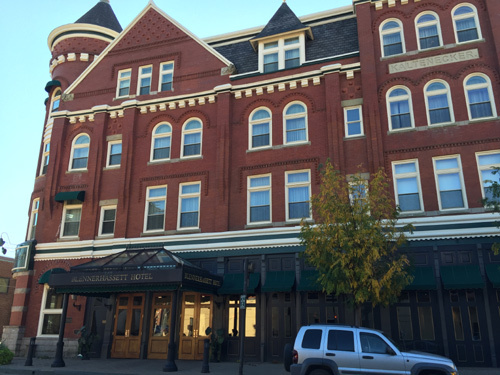 The Blennerhassett Hotel offers luxurious accommodations. 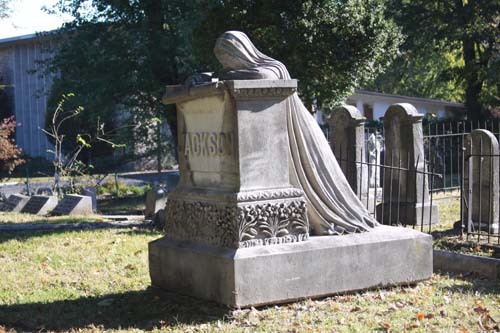 . . along with a few friendly ghosts and even ghostly stay packages which include surrounding Parkersburg programs and events. Ghosts at the hotel include a well-dressed older man in an old-fashioned, three-piece grey suit and children who play tag on the second floor. 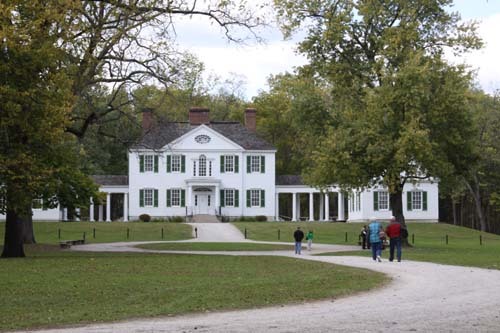 Harman and Margaret Blennerhassett purchased an island just outside Parkersburg in the middle of the Ohio River and built a mansion on it in 1798. The grounds were lavishly decorated with gardens. In 1806, the couple was believed to have been caught up in treasonous activities with Aaron Burr. Harman was jailed and released, but it left the family in financial ruin. The mansion burned in 1811 but in the 1980s, it was rebuilt as a tourist attraction on the island. Margaret Blennerhassett is said to return to her beloved island nowadays as a ghostly figure who walks the shoreline. Some have seen her with a young daughter who died on the island and whose grave wherabouts is unknown. 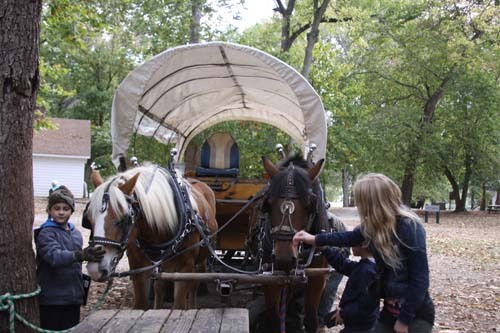 The state park offers boat rides to the island seasonally along with carriage rides around the grounds, and tours of the home. 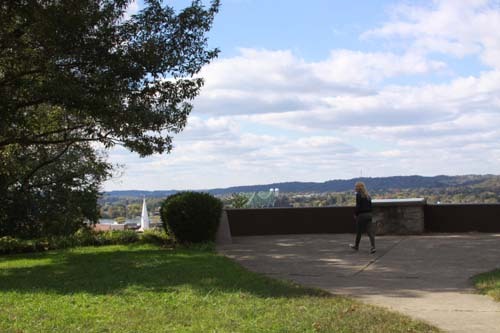 The park was once the site of one of the five Civil War hospitals found in Parkersburg. The hospital was little more than a tent encampment and held up to a 1000 wounded or sick soldiers when the hospitals in town were full to capacity. 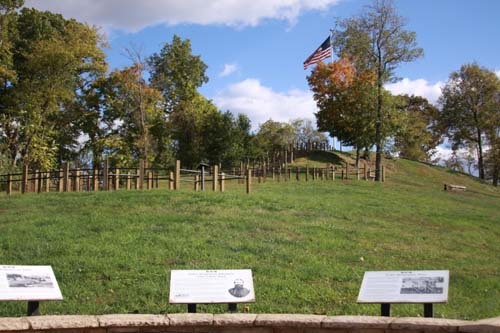 Ghostly civil war soldiers have been seen along the hill. Groans and moans are heard. Built during the summer and fall of 1863, 136 Union soldiers were garrisoned here until the fall of 1865. Ghostly figures of soldiers have been seen walking the grounds. 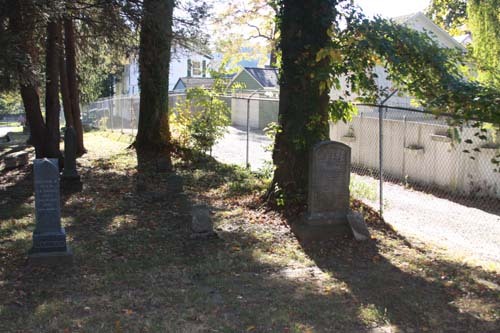 Reports of a man in a dark overcoat leaning over the grave of sea captain George Deming have been reported. This angel is said to get up and walk around on moonless nights in the cemetery.